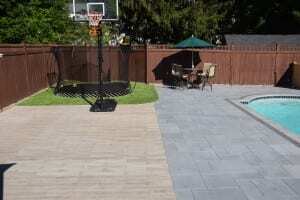 Now is the time to start planning for your home or businesses’ upcoming Landscaping & Masonry projects. With the current temperatures it may be hard to believe, but Spring right around the corner! Get a head start on your outdoor transformation, and enjoy your outdoor space earlier & longer when the warm weather finally arrives! The first thing to do is put together a plan. Ask yourself some basic questions. How much do I want to spend? Once you’ve isolated what it is you want for your project, it’s time to put together a budget. It’s important to be realistic when making decisions. Having a budget range in mind from the start will assure that you don’t lose sight of the scope, because it is easy to get carried away when designing your ideal outdoor living space. always plan on adding to your landscaping in the future. Working with a design build firm like LCM PLUS means that we can help take the guesswork out of creating phases to a project and make recommendations each step of the way. What is the overall “feeling” and aesthetic that I want the project to convey? What materials do I want to use? This is where the fun starts. Think about what you want your yard to look like. 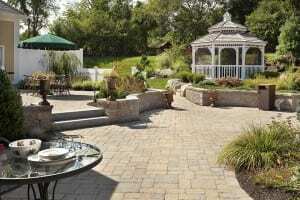 As an extension of your home, outdoor living spaces should be dynamic and inviting. If you don’t already have an idea of your own personal preferences do some research; Look online, in magazines, drive around your neighborhood, anything that can give you an idea of what you like and dislike. 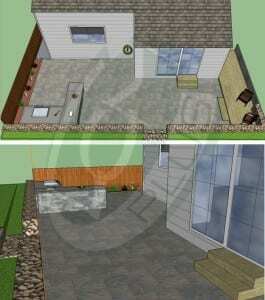 Our online photo galleries are a great resource to see other projects and their design. Some of the more important aspects to consider are materials & color, plantings (existing and desired) privacy, style, and of course overall function and access. Each outdoor living space is unique, so there is no one answer for every project. Remember not to lose track of the first question you asked though — “What is it that I want to achieve?”. The form of your spaces must be determined by the function that you wish to use them for. LCM PLUS can help you identify ways to incorporate your lifestyle into your landscape project and bring open air spaces to life. We work with you to design a space that maximizes your priorities while harmonizing with each unique environment. ← Phase One of Bellevue Island is Complete! Thank you for doing such a fantastic job on our yard. We are already getting tons on compliments on it. Thank you for being very prompt and professional to work with.